For the purpose of this article, I refer to the Sri Lankan diaspora as those Sri Lankans who have migrated to a foreign country permanently and not those who are temporarily working or residing in foreign countries. Estimates suggest that the total Sri Lankan diaspora amounts to approximately 2 million, of which, it is estimated around 1.2 million are of Tamil ethnicity and 800,000 of Sinhalese ethnicity. A sizeable proportion of the Tamil diaspora migrated following the black July riots in 1983 where they fled in fear for their lives and the lives of their loved ones. The ensuing migration was the result of the ongoing civil war that posed poor living conditions and a continuous fear for safety. This group of the Tamil diaspora are scarred with tragic tales and horrific memories of the darker side of Sri Lanka’s past resulting in mixed emotions. Externally they bear deep hatred and open anger towards the Government of Sri Lanka (GOSL) for being the sole reason that they fled their motherland. Internally, they feel what I refer to as “survivor’s guilt” when feeling privileged for achieving material success in their adoptive countries, they are also faced with the guilt for the fate of the less fortunate family members, community and homeland that they had left behind. 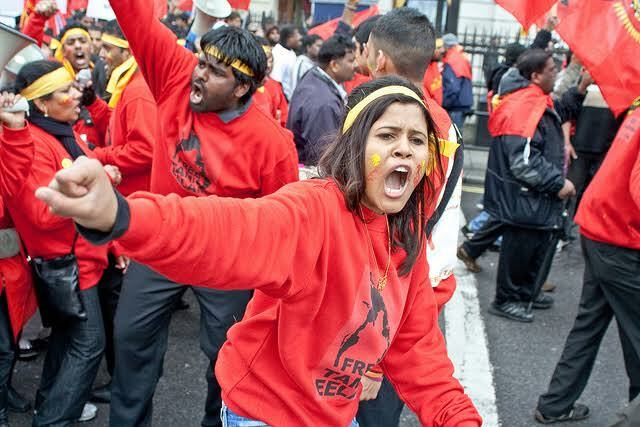 In wrestling with this guilt, this section of the Tamil diaspora strongly voice out on GOSL who are overly nationalistic and one that still fails to pay heed to the plight of the Tamils living in the north and east of Sri Lanka. The majority of the Sinhalese diaspora migrated to seek economic success and upon achieving material success, they feel something which I refer to as “wealth seeker’s guilt” where they feel the enduring guilt for leaving behind their motherland in order to achieve material success and even unfairly lampooned as shallow wealth seekers. In wrestling with their own demons, they support governments that strongly toe on nationalistic lines with anti-west sentiments. The common complex faced by both ethnicities of the diaspora, is that they suffer being the perpetual outsider in white-dominated Christian societies, although, the tide is turning with some moving into mainstream political life in their adoptive countries. Whilst nationalism is an adored patriotic emotion, long distance nationalism can pose many threats as it eludes reality at the grass-root level. Today, the internet creates a sense of immediacy for an idealised ‘homeland’ without the wisdom of real lived experience. This means that passions of expatriate communities can be easily inflamed as the diaspora wrestle with their own alienation and demons. Individual nationalistic values are rooted from an individual’s own experiences; as such, it is apparent that there will be conflicting values or sentiments for each group. This is perhaps why George Orwell commented that nationalism is ‘the worst enemy of peace’. The Sri Lankan diasporas do not vote in Sri Lanka, and rightly so, as all politics are ultimately local. Democratic politics is rooted in the ground realities of municipality and townships and not in imaginary ideas and hankering for an idyllic Sri Lankan from thousands of miles away. GOSL fortunes are not going to be decided in Toronto or London, so why it is important for GOSL to toil for good relations with the diaspora community? Expatriate communities often tend to be far more conservative than domestic ones, precisely because the assaults on self-esteem are so great in adoptive countries. The Zionist cause was, and is, championed by American Jews; the Khalistan demand was run by expatriate Sikhs in Canada; many Irish Americans supported those in Ireland waging war for the Irish identity and similarly at home, the LTTE received direction, leadership and funding from Tamils residing in western societies. This distinctively demonstrates the danger of the pertaining strength of nationalism from the diaspora who frequently confuse the values of self to those of the country. The GOSL needs to engage with the diaspora and continuing to ignore their existence or failing to be more inclusive, can become an exercise in polarising society rather than uniting it. In essence, it is pertinent that the GOSL ensures that the sentiments of Sri Lankans living in Sri Lanka is also migrated to the diaspora. In fact, long distance nationalism is dangerous for Sri Lanka and it is in this context the GOSL should have an inclusive approach where it embraces all stakeholders of Sri Lanka even the diaspora and in return these stakeholders should stop putting an “I before Sri Lanka”. Should The Death Penalty Be Revived? The Caliphate: What Does It Mean To Muslims Of Today? The Zionist cause was, and is, championed by American Jews; the Khalistan demand was run by expatriate Sikhs in Canada; many Irish Americans supported those in Ireland waging war for the Irish identity and similarly at home, the LTTE received direction, leadership and funding from Tamils residing in western societies. This distinctively demonstrates the danger of the pertaining strength of nationalism from the diaspora who frequently confuse the values of self to those of the country. I think that is the most meaningful passage I have read in recent times. The northern province is run entirely on remote control. The way its run does not fit what is needed at the grassroots level at all. The problem with the Tamil culture is they have deep emotional issues but does not have the tools to deal with them. They are trying to solve their own emotional problem politically but does not fit the bill on the ground. Not at all! Everybody has a right to voice their options within their own unique experiences, for what is best for their Motherland (as long as they are not inciting violence, implicitly or explicitly, and collecting money for terrorism). Even complete outsiders, like e.g. a Russian, can have a say about Sri Lanka, if they have good, valid and logical points that can enhance the clarity of what is best for our society. In the end, the vast majority of in-house Lankans will have their greatest impact on decisions. But the outsider too, can, and should be encouraged to involve themselves in the conversation, so more multifaceted analysis can be realized. This is what civilization is all about. I have clearly stated in my article there should be an “inclusive approach” which should include the diaspora as well. Having said that, it is the right of the citizens of SL only to ultimately vote and elect a govt. Your definition of “inclusive approach” is not of a broad and expansive one, but one that is based on great mistrust of Long-distance Nationalism (LDN), and hence you encourage an authoritarianism towards LDN, that will surely kill many a good and generous idea. Opening the mouths and nostrils way too wide is a common trait of all primates when they are agitated….whether long distance or not. …..that’s how they evolved, Off The Wall . There are some good thougts in your piece however I disagree that the opinion of those living overseas are irrelevant to what occurs on the ground in Sri Lanka. I assure you the opinions of Sri Lankans living overseas often act as moderators for political action in Sri Lanka. It is not easy for Sri Lankan politicians to pull the wool over the eyes of the Sri Lankan diaspora like they do time and again with the local counterparts. Niranjan you do not agree that Sri Lankans living overseas should vote. And I say they should. No matter how salubrious the country of adoption is for most of those Sri Lankans born and bred in Sri Lanka, their real home will always remain Sri Lanka. I have clearly stated in my article the GOSL should adopt an inclusive approach which includes the Diaspora as well. By this the Diaspora’s voice and opinions should be heard. However, having said that it is ultimately the citizens of SL who has the right to vote and elect their government. Please tell that to the Aussies, Canadians, Kiwi’s who still keep the Queen as constitutional monarch. Please tell that to the state of Isreal and their long distance friends and supporters. You are coming across as a shortsighted intellectual. Pick a different topic to write next time. A good essay and the reactions described are natural. What is unfortunate and a tragedy is the Tamil Diaspora thinks that it knows what is good for the Tamils who have chosen to live in Sri Lanka out of chice or choicelessness. The same could be said to some extent of the Sinhala Diaspora too. Empathy, sympathy, activism and benovolence are acceptable and welcome, however trying decide for those who have to chart there lives here is abhorent, especially because almost all in the Diaspora or their decendants will not choose to return to live here. They are to a very large extent unaware of the facts/realities, circumstances, dynamics,priorities and nuances of the situation here. Their views, judgements and decisions are yet determined by their experiences in a distant past and lives at a distance. Tamils all over the world live on Tribalism. come here and preach sinhala -nationalism? I do not believe in labeling or grouping any person or community. It only worsens the existing divide even further. The GOSL must take an inclusive approach where it hears the views and opinions of all the Diaspora who are legitimate stakeholders of SL. It is through this process that Unity can be achieved. This is what domestic intellectuals and professionals who studied in the West who were leaders of the left movements, preached the Ceylonese/ Sri Lankans prior to 1956. Many of the fair minded citizens believed them and agreed with them and voted for them. Unfortunately they were out smarted and they couldn’t deny 2/3 majority to the western educated local politician SWRD who brought the constutional change with ease. In 1965 they made a U turn and went along the SLFP path and brought another the consitutional change in 1972. Niranjan can you at least make the ” bring back Mahinda” gang of 4 and the messenger boy who was reading a message at the Nugegoda Rally to agree with your views ? Any way good luck to you. Please expose Both the Para-Sinhala and Para-Tamils for what they are. They are Paradises is Lanka, called Para-Sinhala, Para-Tamils ( Para-Demala) and other Paras from the Land of Native Veddah Aethho. Now these Pars from Lanka, are Paras in their adopted country. Only if they get back to south India, they will be Paras. Why didn’t these paras get back to south India where they originated from? The Indians did not want the Paras? After all there is DNA Evidence in support of that. Both Tamils and Sinhalese clusters were affiliated with Indian subcontinent populations than Vedda people who are believed to be the native population of the island of Sri Lanka. Read on, if you want to know more about the Paras in the Land of native Veddah Aethho. I agree with you that people who were traumatized may not be the best to help those left behind, and that the fate of the country should rightfully be determined by its citizens living on the island. However, some in diaspora argue that there are voiceless multitudes in Sri Lanka, who are afraid to speak up against injustices (perceived and/or real, and that the former are acting on the latter’s behalf. Also in the west the idea of human rights’ fighters has become romanticized and commercialized to an extent that promotes relatively naive youngsters to jump on that band wagon of distant fighters, from a safe and comfortable distance. If there is unity at home then there will automatically be unity overseas as well. If we take the case of the Indian diaspora they feel themselves as Indian first in spite of their diversity. If the GOSL can aim for a similar goal it will stand to benefit through contributions in several forms. Indians are NOT Paras in their own native country, They are Natives. Sri Lankan Para-Sinhala and Para-Tamils are Paras in Lanka, the Land of Native Veddah Aethho. But when anything Indian is allergic to SL South where is the antidote for that? It is a fact that the vast majority of Tamils in diaspora got uprooted from their homeland,mostly against their own will because of prevailing conditions in Sri Lanka. On the other hand most of the Sinhala diaspora are economic migrants. Though both these groups are generally doing well in the new countries they suffer some complexes due to a lack of belonging anywhere and the fear of their progeny losing a sense of identity. That naturally makes them angry and the anger is shown only where it could be shown! This is somewhat similar to the survival instinct of an endangered species. In the case of Tamils, they had virtually cut off themselves physically from their homeland for nearly three decades owing to the war and therefore the sense of alienation especially to the second generation would be much greater. Now the question is how to rectify this? The only way possible is to build unity through systematic reconciliation in the homeland and increase social inter action between the diaspora and the people in the homeland. Such actions would promote lasting bonds and create a healthy atmosphere for the preservation of identities for at least another couple of generations. Overall, you seem only critical of the long-distance nationalism of the Sri Lankan Tamil diaspora. What have you got to say about the long-distance nationalism of the Sri Lankan Sinhala diaspora? Basil, Gota and Jaliya Wickramasuriya. This troika also honed their nationalism when they were part of the diaspora in the United States. My article is not pinpointing or being critical of any community, instead giving an introduction as to why the diapsora reacts in a particular way. My position clearly states that the GOSL should take an inclusive approach which should include both ethnicity’s of the diaspora and both ethnicity’s of the diaspora should put Srilanka first before themselves. Are you the Sri Lankan? The following is my conjecture as to why Niranjan has written this article. 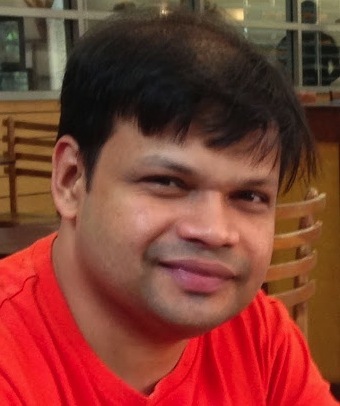 Although Niranjan’s family hails from Jaffna, he and his brother and sister were educated in international schools in Colombo and have gone on to establish themselves well in business. A few of the businesses that they established were EPSI Computers, CBN Sat and the Buddhist Channel. The case of former Chief Justice Sarath Silva being appointed as a director of the Buddhist Channel in 2007 aroused some media interest and controversy since it is he who had heard a case filed by Niranjan’s brother in 2006. 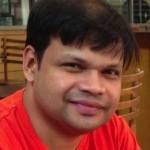 Niranjan and his family also grew up in a plush area of Colombo 3. Thus Niranjan belongs to a particular social order in Colombo society that knows nothing but the good times. Had Niranjan and his family grown up in Jaffna and left the country to become a part of the Diaspora, he would have been whistling a different tune altogether. My arguments here are based on John Rawls’ concept of the Veil of Ignorance. The contents of the article does seem very relevant. What I am trying to come to grips with is : is the intention of the article. Is it a subtle way of galvanizing and propelling the diaspora ? If not, Mr. Canagasoorayam should hit it where it matters rather than penning words in the web. Why not take the podium in many of the diaspora events in the west and drive home your point Mr. Canagasooryam ? I am sure such tunnel visioned audiences needs your wisdom more so than those reading this ? Or as I said it earlier, are you writing this with ulterior motives and positioning yourself for the benefit of oneself ? After all, let us not forget, us human beings are known to be self serving and self centered creatures of habit. To say it short,lives of those who experienced living hell here could have been made some what better if their plight was given prominance rather than war crimes and human rights.But,for those who waged war long distance were only interested in their revenge to cure their hurt egos and to hell with the people,knowing all the time that they were being used by other interested parties.